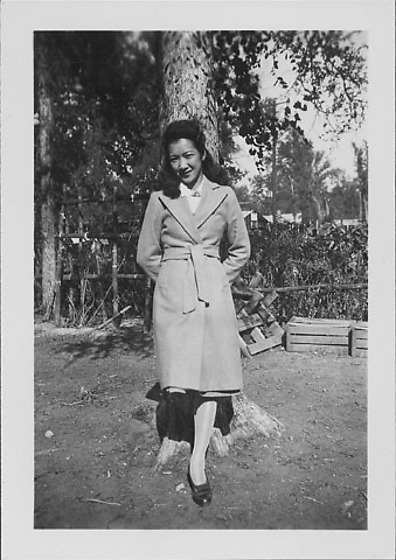 Full-length portrait of a young woman in light-colored belted trenchcoat leaning back against a tree at Rohwer concentration camp, Rohwer, Arkansas, October 16, 1944. She stands with both hands behind her and one leg drawn up. Two wooden crates in front of fence at midground; barracks in distance.